The Economic and Financial Crimes Commission (EFCC) says it has started work on a petition linking Abba Kyari, the Chief of Staff to President Muhammadu Buhari, to a contract scam. The Spokesperson for the EFCC, Mr. Wilson Uwujaren, said this in a text message sent to The Punch on Friday. 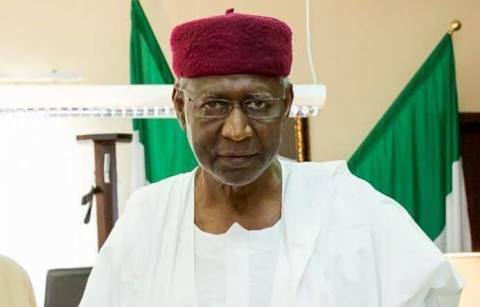 The petitioner, Bako Waziri Kyari, who claimed to be a nephew to the chief of staff had said during a popular radio programme, Berekete Family, on Human Rights Radio 101.1FM in Abuja, that Kyari and Sani Ado, whom he claimed worked with the Bureau of Public Procurement, allegedly collected N29.9m from him in order to facilitate the award of a contract. The petitioner said he had written a petition to the EFCC but the commission refused to treat it, insisting that it could not investigate the President’s aide. Bako, who is from Bama in Borno State, told Berekete Family that when he lost his father, Kyari came to commiserate with the family and then promised him the contract. He said he approached a friend who lent him some money, adding that he also sold his properties in order to raise N29.9m which he used in facilitating the contract. Speaking through an interpreter, he said, “Abba Kyari asked if I had a company registered with the Corporate Affairs Commission. I told him I did and so he asked me to come down to Abuja. We met at least four times at Caledonia Hotel on Gana Street, Maitama. We discussed there. The hotel should have CCTV and this can be confirmed. “Abba Kyari collected the documents of my company. He said I would supply 15 Toyota Hilux vehicles to the Presidential Villa. He gave me an agreement to sign and I signed two documents. He collected two letterheads from me, 12 passport photos and introduced me to Sani Ado and Alhaji Ibrahim. “He said anytime they needed money, he would let me know so that I could give the money to Sani Ado. Ado began collecting money from me to process the contract. Before depositing money into Ado’s account, I always alerted Abba Kyari and he would tell me to go ahead. The petitioner said Ado called him later to tell him that the money had been paid. Bako, however, said he never received the funds as Ado continued to give him flimsy excuses. He said he got frustrated and then wrote a petition to the EFCC. The petitioner, however, said he was disappointed by the response of the EFCC. He added, “Some officials loyal to Abba Kyari refused to help me. I went to meet an official petitioner at Block C in the EFCC. He is very close to the acting Chairman, Ibrahim Magu. The official asked me to bring the petition to him but by the time I got there, he had called Kyari to inform him of my presence. Bako said he quickly changed his mind and decided not to use the EFCC any longer. He, however, said friends from whom he borrowed money began to pester him. 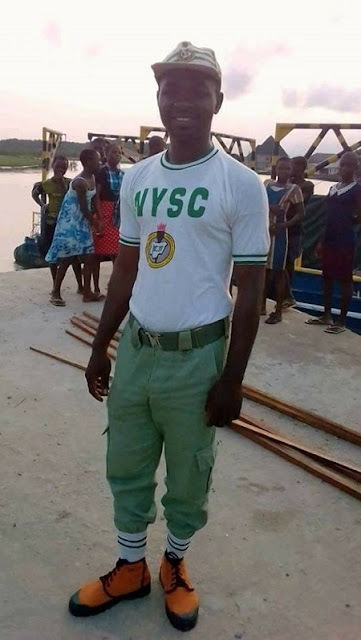 He said a friend decided to report him to a policeman, DSP Tijani Bulama. The petitioner said he explained the matter to Bulama and even gave him Abba Kyari’s number to prove that he was telling the truth. Bako said Kyari promised to return the money in a few days but never did. He added, “The policeman threatened to make the matter public, but the following day, men of the DSS stormed Tijani’s home and arrested him. “While in detention, the policeman under duress, called me, asking me to meet him at Eagle Square. On getting there, men of the DSS arrested me and took me to their office. The DSS men asked if we had informed anyone and we said no. He said it was Kyari that asked the DSS to release him and promised that the matter was a family one and would be resolved internally. The man said he waited for another seven months but Kyari never paid him his money. Bako said he decided to approach the EFCC a second time but through another official, Nura Buhari. He added, “Nura Buhari then told me that if I wanted my petition to be attended to, I must remove Abba Kyari’s name. So, I removed Abba Kyari’s name and put only Ado. “Bashir instructed that the investigation must not include Abba Kyari. They took my statement at Block B but moments later, Abba Kyari called me again. When I picked up, Kyari told me he was told that I was at the EFCC but I denied being there. Also speaking, the policeman who was detained by the DSS, described the entire incident as a case of fraud. Tijani, who spoke amid tears, said the DSS officials arrested him in the presence of his children and harassed his entire household. He said, “Initially I didn’t believe. I thought it was a fraudster impersonating the chief of staff. I called Ado and he said it was the chief of staff that asked him to collect the money. When I called the chief of staff, he denied it and said it was a mix up. “The next day, I sent a text to Ado telling him that the matter would be made public if he did not repay the money. Before I knew it, armed DSS officials in 10 vehicles stormed my home in PENGASSAN Estate, Lokogoma, and arrested me. They didn’t even allow me wear my shoes. It was on March 27, 2017, there were eyewitnesses there. The deputy superintendent said he was brought before the then DG, Lawal Daura. Tijani said he was treated as a common criminal and made to sit on the bare floor. Attempts by The Punch to speak with Ado on Friday proved abortive as his telephone line indicated that it was switched off while a text message was not responded to.